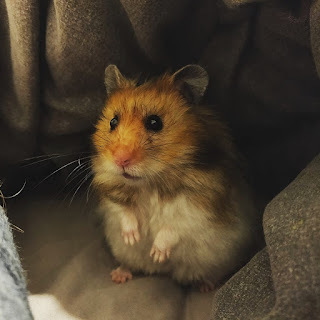 Today's post is about our lovely little pets and how they help with our mental health. I've spoken about this before in my post about managing stress and anxiety. The companionship that a pet offers is a great way to reduce anxiety and stress. 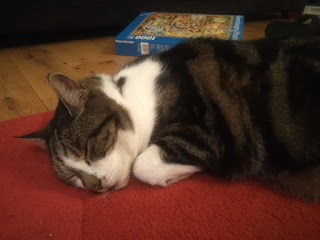 I know not everyone will be able to relate to this blog post as you may not have a pet and I'm not telling you to go out and get a pet, but all the same, it's quite interesting to learn about. Every so often I visit home and see him though - he still loves me even though I left him! In my new home I have my adorable hamster Xavier - he's so playful and the fluffiest little hamster you ever did see. He always looks a mess but he can't help having so much fluff! There's been a study done by the Mental Health Foundation which you can read about in full here - this was done in 2011. It was aimed at owners of cats and they looked into the affect owning a cat can have on a person and if they help with your mental health. The study included over 600 cat and non-cat owning respondents and with half who described themselves of having a mental health problem. 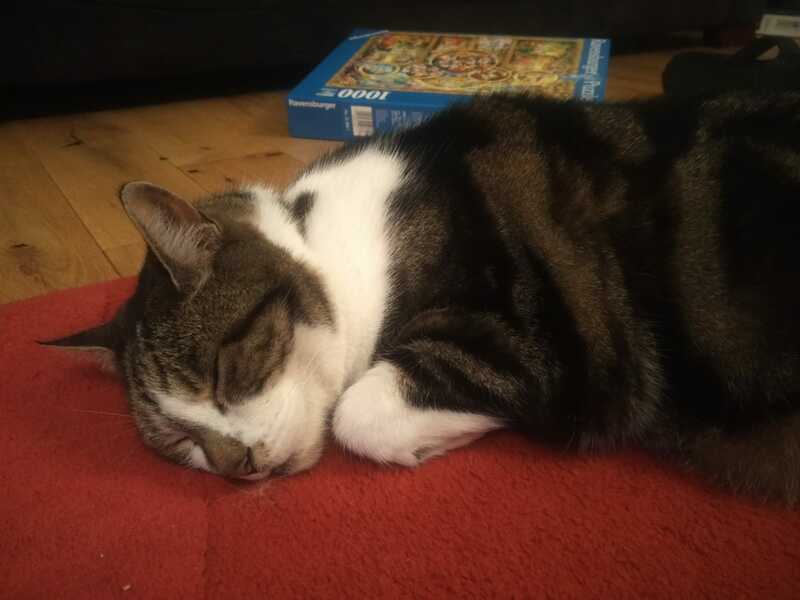 It was found that 87 percent of those who owned a cat felt it had a positive impact on their well-being plus 76 percent advised that they coped better with their everyday life thanks to the company of their cat. A third of the respondents described that stroking a cat is calming and a helpful activity when they're feeling stressed or anxious. It is often said as well that a cats purr can have a calming effect on us, we're still not too sure exactly why this happens but perhaps the constant purr is a nice sound for our minds to relax to. I remember when I was feeling down and crying in my bedroom, I could hear my cat Otis run up the stairs, he jumped onto my bed and pawed at my hand. It was most probably just a coincidence and he just wanted some fuss, but it really made me smile. Did he know I was upset? Who knows. This might apply more to dogs or those pets that you need to walk. They can be so encouraging to owners by getting them out of the house. As you probably know already exercise is such a great thing for those who may be feeling stressed, anxious or just generally feeling down. Also if you're someone that struggles to leave the house, having a little companion by your side can be really helpful. As seen in the study above the result that had come back is that having pets can help you feel calm. Just by stroking, sitting next to or playing with a pet gives the owner a chance to relax and calm their minds. It is often said that the sound of a cats purr can be so calming for humans - the constant quiet purr and vibration. Another positive of owning a pet is that it can give you a purpose day to day. Looking after a precious animal can be so rewarding, but also can help you to feel valuable and needed. Similar to the first point, if you are often going out walking your dog it can lead to social interactions as you may pass other dog owners who speak to you. Also if you're in a social situation you'll probably find that a big thing in common is your love for animals. I could definitely go on and on about my pets! It is also known that people who have more social relationships tend to be mentally healthier. 5.They can help with loneliness. Pets give owners company, a sense of security and someone to share the day with. They can be great companions and can be especially valuable company for those in later life and living alone. There are studies out there that suggest that a dog can be a stress buffer that softens the effects of certain events on a person, it is thought that with an animal in the home people with Alzheimer's are thought to have fewer anxious outbursts. I can't really imagine a life without a pet, seeing as I've grown up with pets and never not had one I feel like my life would be a little bit empty without one. They're so special and precious and all they do is love you, to them you're pretty much their whole life. 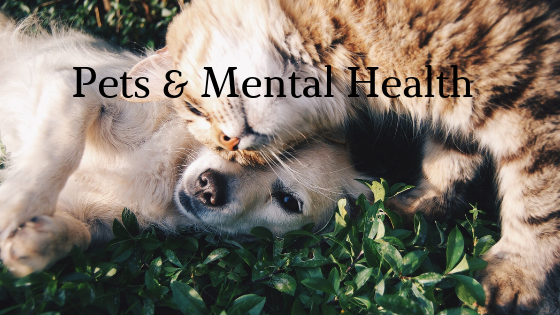 Looking into this and seeing so much research done around this subject I can see how helpful a pet can be for your mental health. 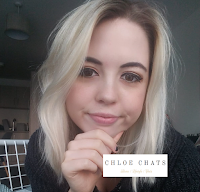 I hope you enjoyed this post, it was a bit more personal and chatty than the usual more informative post but I enjoyed writing it. It's called Felix The Railway Cat - Felix is a very special employee for Yorkshire's Huddersfield train station. She has the job of being a pest controller but she changes lives and brings happiness to many. Such a heartwarming read, would really recommend. 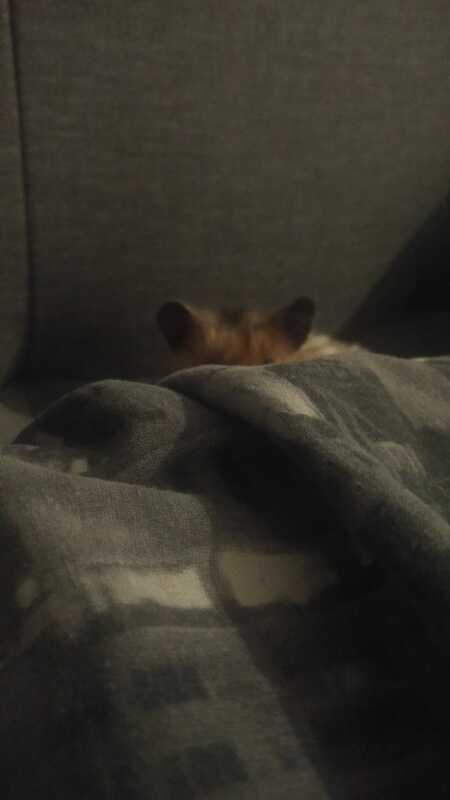 (He thinks I can't see him). I agree, I really think pets help mental health. I've always had pets as well, and nothing can cheer you up quite as well as seeing their cute faces after a rough day. Great post! I agree that pets can for sure have a positive impact/effect on your mental health. 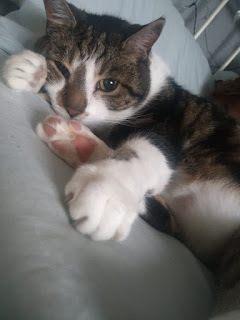 My cat passed away and in terms of my mental health, I feel like having her around me and being able to pat her and cuddle with her whenever I wanted used to give me such a boost mental health wise. I definitely notice the difference since she passed.